When case managers are embedded into primary care workplaces, both patients and staff benefit, says Melanie Fox BSN, RN, director of embedded case management with Caldwell UNC Healthcare. Instead of delaying a patient’s request for care, staff workers are more likely to address it by going directly to the case manager on site. And some patients are more likely to directly ask the case manager, who they might previously have contacted telephonically. Some people have embedded case managers but they might not be embedded in the practices. Our case managers are on site. They are available. They are visible. That makes it easy for the staff and the patients because sometimes they’ll think that patient may need something, but are unsure how to make that happen for that patient. Then they see us or they remember we’re here. They’ll come to us and ask for help, trying to get that patient what they need, whether it be hospice services, VNA services, or just watching a patient’s blood pressure or hemoglobin A1C. If you’re there visible, it makes it so much easier for the staff and as well as the patients. We have patients that drop by our offices just to see who we are because we’ve talked to them over the telephone. The visibility from us being in the office is great. We seem to be more accepted by the providers and the staff because of that, as well as the patients because they see us as part of the team. They see us working in the office. Sometimes, when we make a phone call to the home, they may accept it sometimes a little better because we’re calling from our clinics. When we mention where we are calling from and the name of the doctor we’re working with, then they’ll talk to us a little more willingly. It makes that easier. It also helps to engage the patients in the office because they are here. A staff member will pull us into an office and let us know that one of the patients is here to talk to them. We have found that just being in the office is a great asset for the doctors as well as ourselves. It makes our jobs a little bit easier. 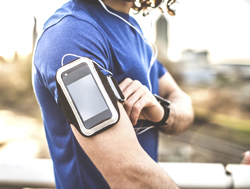 Healthcare providers increasingly engage patients in self-management via the use of mobile apps and wearable devices. Want to save lives? There’s an app for that. Chances are the physician gazing intently at his or her smartphone isn’t checking out the latest sports stats or movie listings. Instead, a recent report from the MedData Group shows that three out of four physicians are using mobile apps to save time, lower costs, and improve their quality of care. With more than 10,000 apps available in the healthcare category ranging from readmission risk predictors to chronic care management, physicians and other healthcare providers are turning to mobile apps for new ways to provide value-based care for patients, and help those patients become more engaged in their own care. One such app, a set of condition-specific Readmission Risk Calculators, helps providers predict the 30-day readmission risk factors for a patient first entering the hospital. Developed by the Yale-New Haven Hospital Center for Outcomes Research and Evaluation (CORE), a national outcomes research center, which developed the publicly reported readmission measures for the Centers for Medicare and Medicare Services (CMS), the app is based on medical record data used for those measures. Launched in 2012, the app predicts a patient’s readmissions risk based on certain specific criteria, including age, diagnosis upon initial admission (heart failure, heart attack, pneumonia), residence (i.e. nursing home), and mental status, among other data. Improving patient engagement and self-management in patients with heart failure is at the core of a new cloud-based platform that bridges the transition of care from the hospital to home. Launched by iGetBetter and Brigham and Women’s Hospital (BWH), it is designed for patients with hypertrophic cardiomyopathy (HCM). Cardiologists at BWH monitor HCM patients and communicate their care plan instructions to them via mobile devices. These clinicians use data from biometric devices connected to the patients’ mobile devices, as well as patients’ self-reported data, to adjust their medications for optimal efficacy, and intervene if necessary to avoid hospital admissions or unnecessary office visits and reduce costs. Patient and physician engagement is also integral to a new care management app from the Genesis Accountable Physician Network (GAPN), a clinically integrated subsidiary of Genesis Physicians Group. Through the deployment of BluePrint Healthcare IT’s Care Navigator™ platform, the mobile app provides patients and caregivers with real-time access to their care plans and care team members, as well as relevant patient questionnaires and educational materials. By creating a connected community of care around high-risk, chronically ill patients, practices can provide a higher level of care, thereby improving safety, efficiency, and delivery. Helping people with such chronic conditions as diabetes or asthma better manage their health is the focus of the CareCam self-management mobile app from Independence Blue Cross (Independence). The southeastern Pennsylvania-based payor offers the app for free to health plan members. The CareCam generates a daily personalized schedule of healthcare activities designed to fit each individual’s lifestyle, allowing them to more easily adhere to the treatment plan recommended by their doctor. Because having a strong support network between doctor visits can help a patient with diabetes or asthma stay on track and ultimately lead a healthier life, users also may invite friends, family members, or caregivers to follow their progress on the app and provide support and encouragement to help ensure success. Each day, CareCam reminds members to complete the activities necessary to effectively manage their diabetes or asthma, such as checking their sugar levels, measuring their peak flow (breathing) rate, taking medications and exercising. Users also receive real-time personalized feedback on how well they’re doing and have access to daily, weekly, and monthly summaries of their performance, which can be shared with their doctors during their next visit. The app is a way to provide these patients with a convenient, 24/7 resource for support in managing their care. Baby Boomers make up more than a quarter of the population of the United States and as they reach retirement age, are seeking information and answers to questions about Medicare insurance plans. Healthcare marketers should be capitalizing on this incredible growth opportunity, advises OHO Interactive. OHO’s Marketing Healthcare to Baby Boomers Infographic gives healthcare marketers valuable insight into how Baby Boomers like to receive information about health-related matters, their online usage behaviors, and how they envision themselves. The ecosystem that comprises the United States healthcare system has embraced a technological revolution and the pace of change is accelerating. The ability of physicians, caregivers, and administrators to share needed healthcare information, both clinical and administrative, to improve the health of populations has improved and advanced beyond what was unimaginable earlier in history. 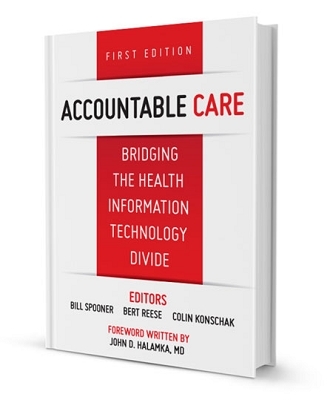 Accountable Care: Bridging the Health Information Divide, First Edition touches on many elements of this technological journey with a focal point of clinically integrated accountable care organizations (ACOs) at the epicenter. As the nation and global health system shifts focus from volume-driven care to performance and quality-driven care, leadership is returning to the provider. This is resulting in a greater emphasis on clinical and administrative performance and on the priority of improving population health. In an Ohio care transitions management initiative, post-discharge home or SNF visits to Medicare beneficiaries at high risk for readmission have helped to curb rehospitalizations by nearly 50 percent. As one of CMS’ Community-based Care Transitions Program (CCTP) demonstration projects, field coaches for the Council on Aging (COA) of Southwestern Ohio conduct home visits for high-risk Medicare fee-for-service patients in nine partner hospitals, explained Danielle Amrine, the COA’s transitional care business manager during an April 2015 webinar, Home Visits: Five Pillars to Reduce Readmissions and Empower High-Risk Patients, now available for replay. Home visits occur within 24 to 72 hours of a patient’s discharge from the hospital; SNF visits within 10 days, to allow the patient to settle in at the SNF. For SNF visits, made to the top 10 nursing facilities where patients most often discharged, field coaches utilize the LACE readmissions tool to assess the need for a home visit post-discharge. The intervention is designed to empower patients of any age and their caregivers to assert a more active role during their care transition. Reinforced by a trio of follow-up phone calls, a typical home visit lasts about one hour. While geared to the patient’s needs, the visit always covers the crucial medication reconciliation, which allows the coach not only to assess the patient’s role in managing their medication regimen but also to identify any medication discrepancies. Medication misunderstandings are particularly common during transitions in care. In a recent month, COA coaches identified 77 medication discrepancy issues, which, once resolved, resulted in only four of these patients from being readmitted back to the hospital. The Southwestern Ohio program, the second in the nation to be funded by CMS to conduct home visits, is modeled on the four pillars of Eric Coleman’s Care Transitions Intervention®. 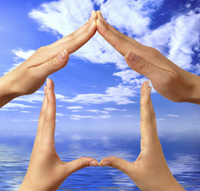 However, the COA has added a fifth pillar, community services, to connect patients to the COA’s broad range of in-house and community-based services during the critical transition between providers or care sites. The program relies heavily on personal health records (PHRs) to facilitate cross-site communication and ensure continuity of care data across practitioners and settings. Success from the COA care transitions initiative also extends to emergency department utilization by this population: the national average baseline is around 11.6 percent, and CCTP participants show an admission rate of 9.39 percent, Ms. Amrine added. About 15 percent of scheduled home visits do not occur; the program has created a number of strategies to address this falloff. Future enhancements by the COA of Southwestern Ohio program include a behavioral health intervention and a pilot in which University of Cincinnati College of Pharmacy interns will reconcile medications via Skype® or other telemedicine application. Despite new CMS payments to physician practices for select chronic care management (CCM) services, almost half of healthcare organizations lack a formal chronic care management program, leaving critical reimbursement dollars on the table, according to new market metrics from the Healthcare Intelligence Network (HIN). 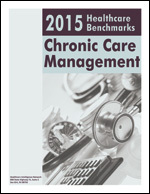 Almost 45 percent of 119 respondents to HIN’s 2015 Chronic Care Management survey, conducted in January 2015, have yet to launch a CCM initiative, the survey determined. 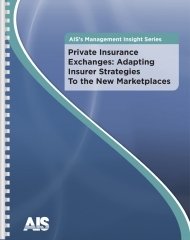 However, 92 percent of respondents believe the Medicare CCM reimbursement codes that became effective January 1, 2015 will prompt comparable quality overtures from private payors, underscoring care coordination’s importance in a value-based healthcare system. Any patient over a certain risk score gets a phone call from the physician or advanced practitioner registered nurse (APRN) for a follow up with the patient. 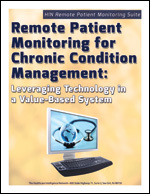 Using remote monitoring devices for heart failure patients. The four most populous states — California, Florida, New York and Texas — have each approached the Affordable Care Act differently. A new infographic by the Commonwealth Fund highlights these differences. Healthcare IT is helping organizations achieve Triple Aim goals for improving the health experience, according to the HIMSS Annual Leadership Survey released this week. The survey also revealed that a clear majority of organizations expect consumer and patient considerations, such as patient engagement, satisfaction and quality of care to have a major impact on their organization’s strategic efforts over the next two years. Survey highlights have been captured in a new HIMSS infographic.